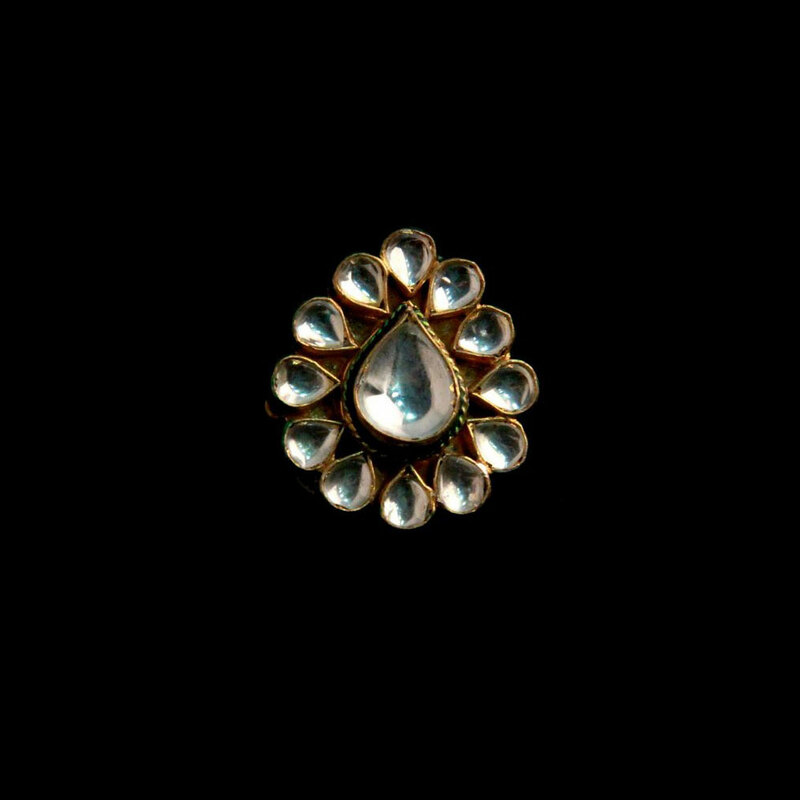 The centre piece is created by an outsized teardrop formed white kundan stone around that area unit placed alternative smaller teardrop formed similar stones with their tips inform inwards. The simple design of this beautiful ring makes it even more exquisite and appealing. The centre piece is formed by a large teardrop shaped white Read More..kundan stone around which are placed other smaller teardrop shaped similar stones with their tips pointing inwards. The ring is available in adjustable size. Show Less..